Jason is an independent wealth advisor and risk management specialist for individuals, families, and small business owners. Jason, born and raised in Montgomery, Alabama, is a 2001 graduate of Auburn University Montgomery, with a Bachelor’s Degree in Finance. He began his career with SmithBarney (now Morgan Stanley) in May 2000. In April 2004, Jason joined ProEquities as a Registered Securities Principal and Investment Advisor Representative. Jason led and managed the largest independent advisor group in the Southeast for ProEquities through one of its strategic partners, First Protective. 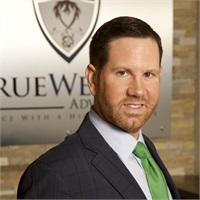 Jason formed the wealth management firm, Southeast Investment Management Services (SIMS) in April 2006 which provided independent investment, retirement, and risk management advice for individuals, families, and business owners before merging with TrueWealth Advisors, LLC. Jason is married to Randee Sims and they are the proud parents of two handsome boys, Wesley and Cooper. Click here to schedule an appointment with Jason.